The olive grove is one of the oldest fruit crops known as it has a history of about 5500 years. It began to spread across the peninsula during the Roman colonization and the Arab period, and now it is one of our main resources. In these times when we behave so badly with our planet there is in olive growing a tendency towards Ecological or Biological; that is nothing more than a farming technique that uses only natural resources such as soil, spontaneous plants, water rain or auxiliary insects that with proper management can increase the olive grove profitability without damaging the environment. No chemicals or genetically modified products are used. We recommend you to be very carefully when choosing olive oils classified as ecological since in many cases this category is used with the sole pretext to sell more and make it more appealing to the consumer, without really accomplish, in many cases, the particular specifications that respect the environment. 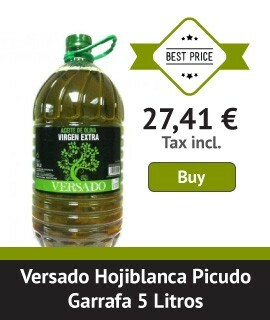 We want to offer you virgin olive oil cataloged as ecological and gather all the requirements to be. Mills that produce these oils accomplish one hundred percent requirements to produce authentic organic olive juice, the taste is unmatched and the properties of the olive oil are potentiated in its maximum degree. You will be totally in love with these oils. Cardboard Gift Box with 3 bottles to enjoy these high quality Extra Virgin Olive Oils Ecologic, perfect for gifts.